From overflowing toilets to slow draining sinks, PowerFlo Sewer Service is here to respond to your drainage problems. The only tool you need is our phone number. After speaking with our friendly in-house office staff (never a 3rd party answering service), a uniformed technician will be dispatched to your home in a timely manner. We will schedule visits according to your schedule- daytime or evenings. There is never an extra charge for nights, weekends or holidays. Our office will coordinate with landlords and their tenants to help reduce legwork and increase response time. Upon arrival, you can trust that our technicians will treat your home with respect and care. If you have experienced a sewer backup due to tree roots, than you know it doesn’t take very long until the roots re-grow and cause another problem. Our goal is to clean your sewer line the best as possible in order to keep the line flowing as long as possible. 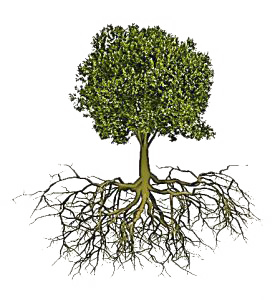 We specialize in evaluating the severity of the root growth and will tailor a plan of action which is both effective and budget friendly. Solutions may include Mechanical Snake Equipment, High Pressure Water Jetting, Foaming Root Control Additives or a combination of these methods. Trees are beautiful- sewer backups aren’t.